Although a professional singer and drummer in secular music for more than 25 years, Steven Cermele has spent the past decade focused exclusively on singing and playing in church. In other words, he’s “divinely rearranged,” as he sings on the title track of his new album, HealThy Heart. 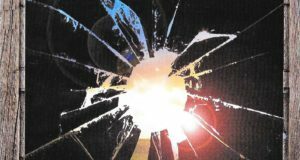 Eleven self-penned selections combine the simplicity of southern gospel with the electric drive of country rock. Cermele’s best offerings on HealThy Heart are straight-ahead, no-nonsense southern gospel selections such as “If I Don’t Have Jesus.” The melody, harmony, and handclap rhythm make for infectious and inspirational listening. “Right Now’s the Right Time for Jesus” is ideal for congregational singing and, of all the songs on the album, wins Most Likely to Be Placed in a Hymnbook. On the other hand, the album’s more musically complex and dramatic pieces, such as the title track and “Holy Spirit Fall,” cry out for more of the carefree joie de vivre that Cermele brings to some of the other tracks, though the piano work on “Holy Spirit Fall” is quite affecting. A few other songs bear mentioning. The opener, “Stand Strong,” is an electric guitar-fueled anthem that calls for unity among all people of Christ. The word play of “Somebody Up There Loves Me” feels strongly country. Led by a smoky sax, “For Us All” basically asks “Judas, Did You Know” in telling the story of the world’s most infamous betrayal. “The Christmas Star” tells the Nativity story from the perspective of the star itself. Contributing musicians include James Mitchell (tours with Alison Krauss), Johnny Hiland (the “chicken pickin'” king) on guitar and Robbie Turner (tours with Chris Stapleton) on steel guitar and bass. Patrick Tweed is also part of the group; it’s his deft hands at the piano. Naturally, Cermele handles the drums, but he’s not alone: Tweed, Chris Rettig, and Cody Leppo share drum duties on the album. 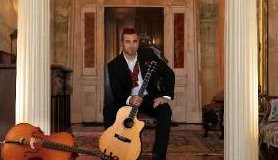 HealThy Heart is underpinned by experienced musicians and Steve Cermele’s earnest vocals. It is poised to do well on Christian rock and southern gospel stations. Somebody Up There Loves Me…really spoke to my heart…to me it’s the ballad of all the lost children that rejoice in finding the ultimate love of The Father. 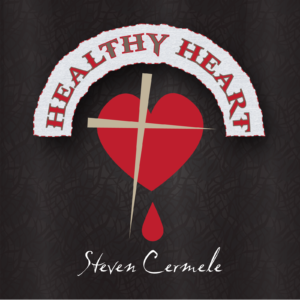 HealThy Heart by Steve Cermele is an amazing cd. The thought behind each song is very heartwarming in today’s world we need more people like Steve that compose from the heart and not for the fame. Steve has been very diligent in his writings that each song has a special message. We listen to his cd all the time and highly recommend this singer/musician/songwriter. Well done Steve! God Bless You! Love this artist. His songs are real and raw, to the point, to the heart. The entire cd is amazing and I will be sharing for sure.